Members of the Weaverham Community Memorial Orchard Group approached our horticultural department for help in preserving the Wareham Russet, a heritage variety limited to just one old verifiable tree. 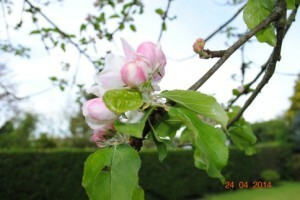 The apple trees used to grow prolifically throughout Weaverham but the orchards were replaced by housing development after the Second World War. Last year RHS Master of Horticulture Harry Delaney along with fellow lecturer Anne Harrison grafted over 50 cuttings from the tree onto rootstock. 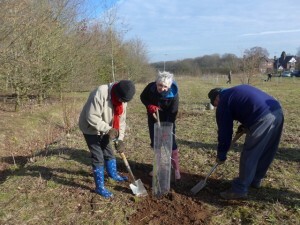 These are now planted in the community orchard where they are thriving. 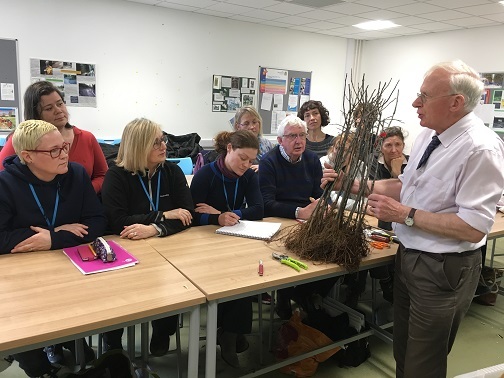 Last week he repeated the process, but this time most of the 20 newly grafted trees will be given to schools in the Weaverham and Hartford area so children can watch them grow. 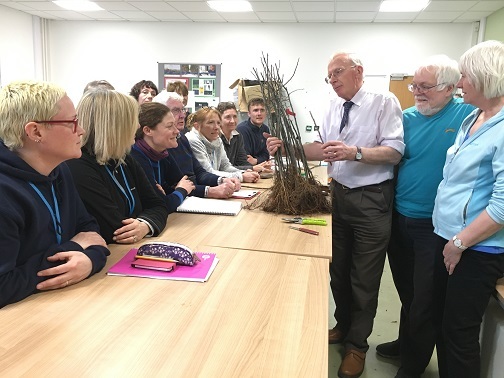 Harry carried out the skillful procedure, which dates back hundreds of years, in front of students on the college’s RHS Level 3 practical course. 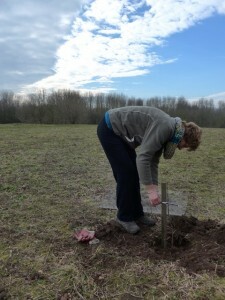 He also prepared graft s of another rare Cheshire apple, ‘Rakemaker’, which will be planted in the orchard. 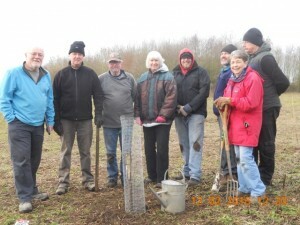 The Weaverham Community Memorial Orchard was created by an action group from the village in 2014, a year which commemorated 100 years since the start of the First World War. The orchard, which is just under one acre and is leased from The Woodland Trust, has 12 other local varieties of apple and pear trees which, when the trees have reached maturity in a few years’ time, can be picked and freely enjoyed by members of the public. 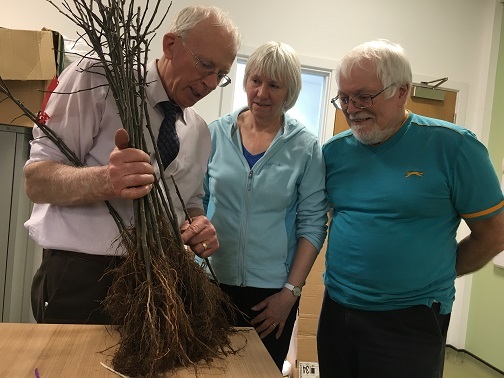 Group treasurer Brian Williams, who brought in the scions and rootstocks wit h his wife and group member, Jacquie, said: “We approached Reaseheath because we needed professional help with the grafting and we were so glad that Harry and Anne could help. The Wareham Russet is a very rare variety and we wanted to give the young trees the best opportunity to survive. But in May this year the law on data privacy is going to change. This means that we are going to have to make sure that you really do want to receive the e-mails and news that we send you. The new law is called GDPR- you may already have heard of it, you may already have had messages from other groups or charities that you support. If not you certainly will shortly – many local organisations, the Trust, the History Society, the Memorial Orchard, the Scouts and others will all have to seek your consent to carry on contacting you. Please don’t ignore these messages. We don’t want to bother you but we all rely on your support and we need to be able to contact you. Without your explicit consent this will not be possible. We will try to make it easy to do this: on line, by e-mail or by filling out a form. We will send you more details nearer the time.